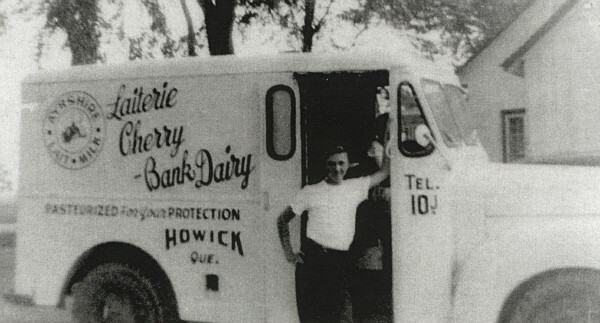 The dairy was owned and operated by Allister McArthur. 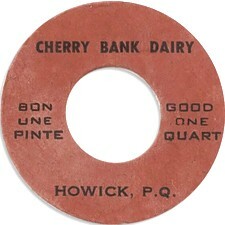 Howick Qc. 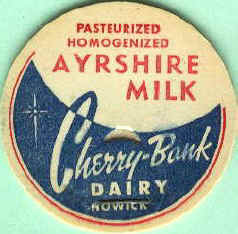 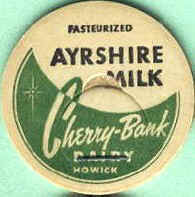 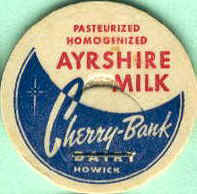 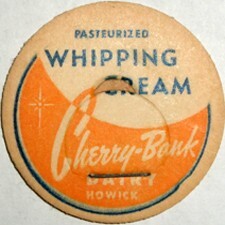 The milk was produced by his Cherry-Bank Ayrshire cows. 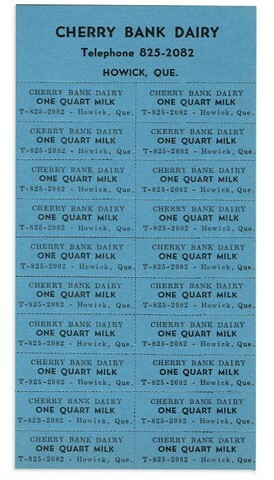 When the dairy opened, in 1958, it was equipped to handle 5000 quarts daily. 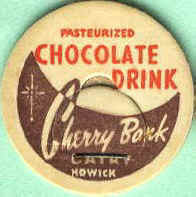 The first deliveries were made to Howick householders, later including Châteauguay and Beauharnois. 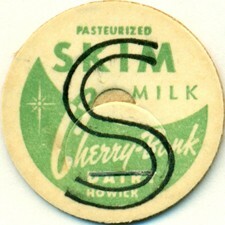 The business continued until the mid 60's.